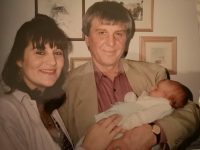 We recently received an email from Nicki Giltrow to inform us that her father Michael Giltrow sadly passed away age 75, shortly after his birthday. We recently published a piece of writing by Donna Newman which details what recovery is and the actions and behaviours that may be employed by someone early in recovery. In the addiction field the word ‘recovery’ is thrown around repeatedly. £40,000 pa Permanent Full-time, 37.5 hours p/w Monday – Friday, 9am – 5pm Broadway Lodge is one of the leading and most respected abstinence-based addiction treatment centres in the UK. Location: Weston-Super-Mare £14.65 per hour (days) £15.92 per hour (unsociable) We are seeking experienced Bank RGNs/RMNs to join our busy team and assist in the delivery of detoxification and rehabilitation at our abstinence-based, 12-step, residential treatment centre. 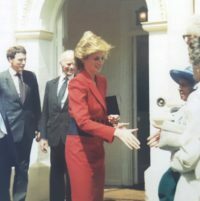 Almost 33 years ago Broadway Lodge had a very special visit from the late Diana, Princess of Wales. When addiction exists alongside a mental health condition such as Anxiety, Depression, an eating disorder, Bi-polar, Schizophrenia and Borderline Personality Disorder, it is referred to as ‘dual diagnosis’.